Fraud and Deception in Disneyland? 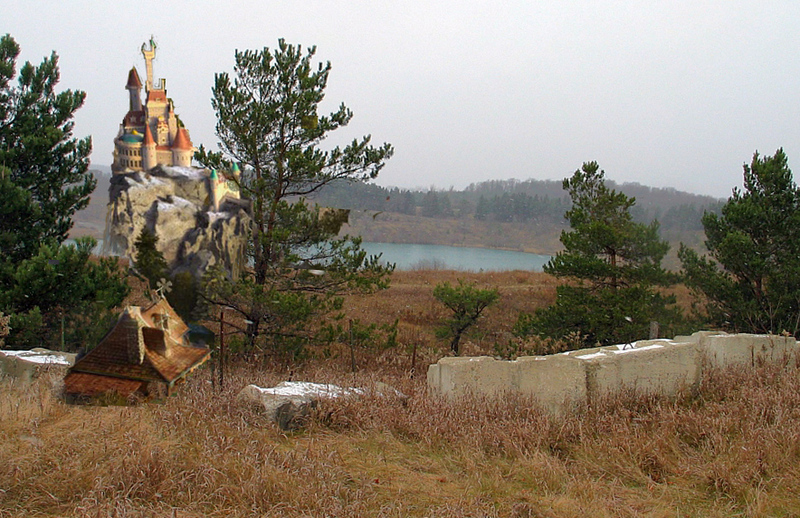 Dedicated to Digging for Truth, Blasting the Myths, and Etching Reality in Stone. We’re told that in Disneyland there’s a place called the ‘Magical Kingdom’. It’s where wonderful things happen – where wishes and dreams come true. Who knew that here in Ontari-ari-ario we have our own version? It’s near Palgrave in the north-east corner of Caledon. This place, where the magic happens, could be called ‘Brockland’ because Brock Aggregates owns the Tottenham Pit. The magic appears to happen whenever reality doesn’t coincide with Brock’s wishes. Not long ago, when Brock decided they wanted permission to nearly double the size of their ‘footprint’ and dig out more sand and gravel from below the water table, they were faced with opposition from concerned neighbours with whom they ‘share’ the water source. 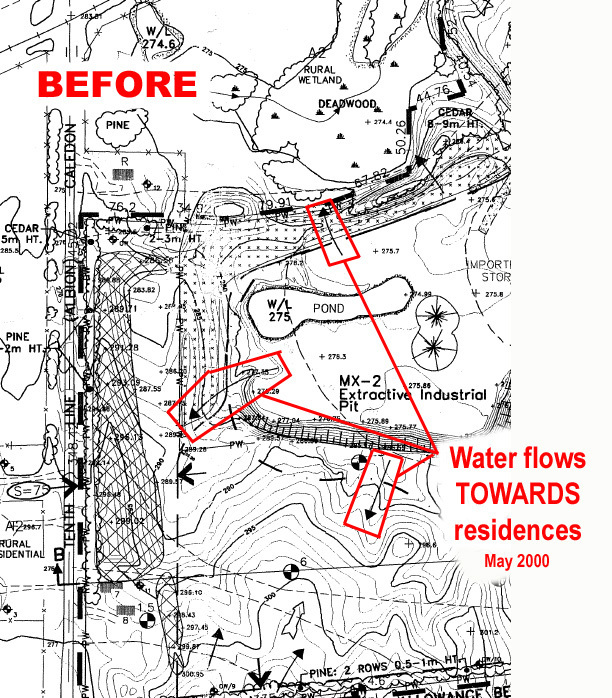 Neighbours pointed out that previous site plans and hydrogeological studies showed underground water flow directions that might mean a threat to their private wells. So here’s where wishful thinking and magic occurs. First, Brock wished that opponents to their dream would just vanish. So then they got out their magic wand … errr, wallet … and presto! 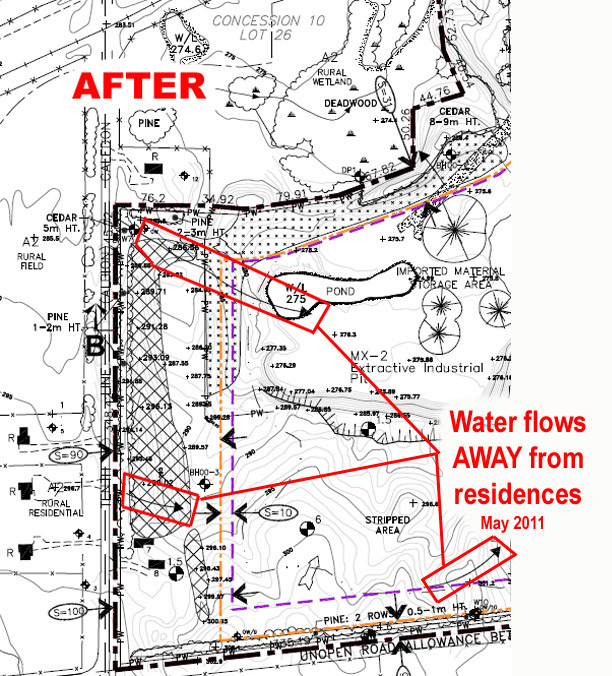 all the arrows on the site plan that showed the directions of underground water flow magically changed direction! Where formerly the arrows pointed in somewhat natural directions, and towards neighbouring residences, they now conveniently changed direction, sometimes totally REVERSED direction, to point away from all the neighbours’ wells. Well haven’t you ever heard of Fantasyland? It happens every day! Take a drive; take a look; wish upon a star! You won’t believe your eyes when you see the magical transformations at Bibbidi Bobbidi Brockland ! Previous postMoney Squandering or Money Laundering? Next postGood News For a Change? This is minebuster from Mining for the Truth. Do you have an email address at which I can contact you, or in the alternative can you email me at melancthonminebuster@gmail.com Tx.!! This is absolutely outrageous. How can MNR and MOE just accept something that is clearly fraudulent? Everyone knows that “pay and say” consultants will write whatever they are told to write? This is the same company that demolished a century log home at the same pit, without a demolition permit, that resulted in a fuel spill. When the concerned neighbours complained to all the public authorities that should be protecting them when these spills occur, they were told they didn’t need to worry because the water flowed away from all the residential wells in the area. This is truly a magical, Disney pit. Water flows in and doesn’t flow out. How stupid does this government and its public employees think we are? Dont I know that, seems anywhere the MNR are concerned it’s like Disneyland. Robin Hood, or Robbing the ‘Hood?